Posted by Hillary Zhang on 4/4/2019 2:21:28 PM. Epubor is a well-known brand in the decryption software market for its ability to liberate purchased ebooks, Audible books and VitalSource books. It always puts its customers needs and satisfactory in the first place. So in order to gain the full control of your ebooks and audible books, the top 3 Epubor star software you must know are Epubor Ultimate, Epubor Audible Converter, Epubor VitalSource Downloader. After reading this article, you will know exactly what Epubor software are capable of. 1. How to use Epubor Ultimate? 2. How to use Epubor Audible Converter? 3. How to use Epubor VitalSource Downloader? How to use Epubor Ultimate? Among all the ebook decryption tools, Epubor Ultimate is absolutely the best of the best ebook DRM Removal plus eBook Converter. With a clean interface, it's super easy to use. And you can gain the full control of your purchased books within seconds. 1. How to decrypt ebooks? As long as you download your ebooks to your computer via Kindle/Kobo/Nook/Adobe Digital Editions for PC/Mac, then Epubor Ultimate can automatically detect your downloaded books and display them in the left side-bar. And all the ebooks will be decrypted immediately after adding them to the right blank area. You can find the decrypted books by simply clicking the Decrypted word on the right of the book title. If you want to know more details, please read this tutorial guide about how to decrypted ebooks step by step. 2. How to convert ebook format? 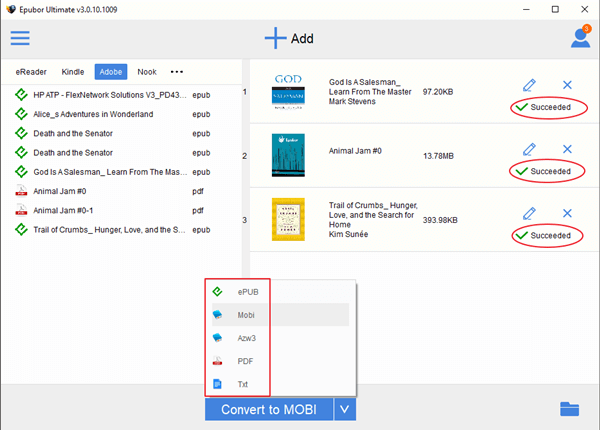 When Epubor Ultimate remove DRM from your ebooks, next you can freely convert the books format to PDF/Epub/Mobi/AZW3/TXT, etc... Just choose the correct output format and click the convert button. It says Succeeded when the conversion is done. How to use Epubor Audible Converter? Besides reading ebooks, listening to audio books is the most popular way to gain knowledge. While Audible.com is the largest audio books store. Thus Epubor Audible Converter is created to liberate your Audible books for your better listening experience. Epubor Audible Converter is definitely an affordable and powerful software. It can decrypt an Audible book within three minutes and convert Audible books to MP3 effortlessly. How to convert AA/AAX to MP3 with Epubor Audible Converter? Step 1, install Epubor Audible Converter to your computer and launch it. Step 2, click Add button to upload your Audible books to Epubor Audible Converter. 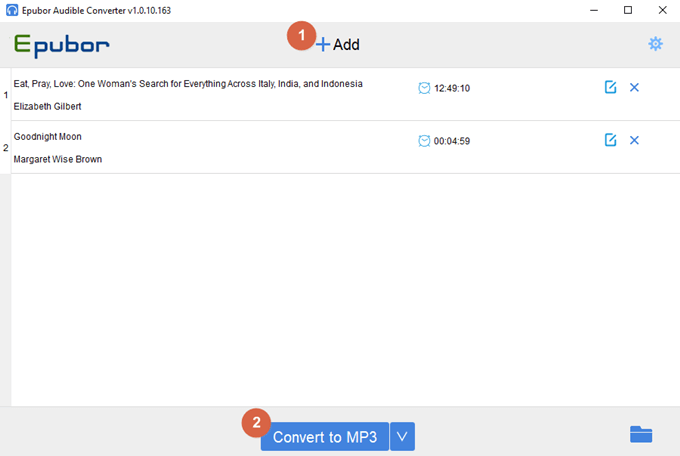 Then click Convert to MP3 to start the conversion. Note: Epubor Audible Converter can detect your downloaded Audible books automatically, all you need to do is click the Add button and select the books. Or you can directly drag and drop AA/AAX files to the main window of Epubor Audible Converter. 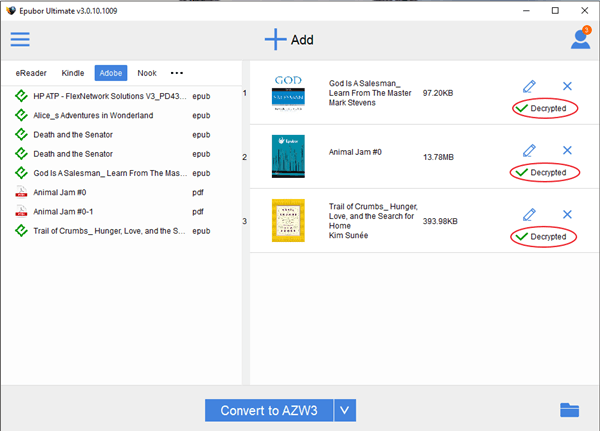 After successfully decrypting Audible AA/AAX books with Epubor Audible Converter, you will get DRM free MP3 format audio books. 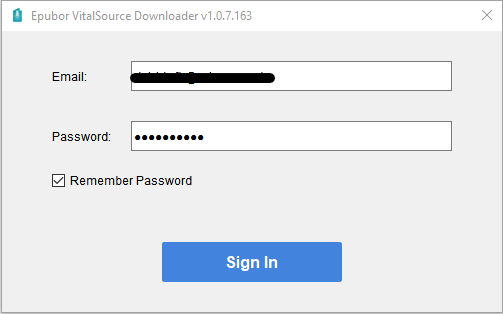 How to use Epubor VitalSource Downloader? As VitalSource becomes the most-used etextbook delivery platform in higher education with over 4 million users worldwide, so there are more and more students want to download VitalSource books to PDF in order to print the book or just back up and share with friends. When the demand arises, Epubor also sees the potential of this market and designs an amazing VitalSource Downloader to cater for the needs. And reality shows that Epubor VitalSource Downloader is the only workable software which can help you download your textbooks easily with the fastest speed and the highest output quality. Step 1, download Epubor VitalSource Downloader to your computer. 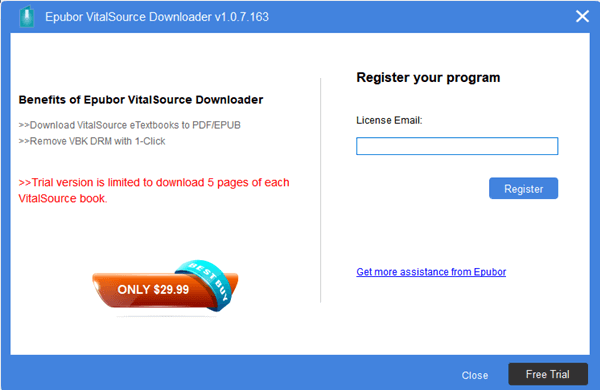 Step 2, launch Epubor VitalSource Downloader and register it with your billing email. Step 3, next enter your VitalSource account and password to access your textbooks. Step 4, click the Download button in the lower right corner to start downloading your textbooks. It may take a long time to download the books. So please wait patiently until it's done. 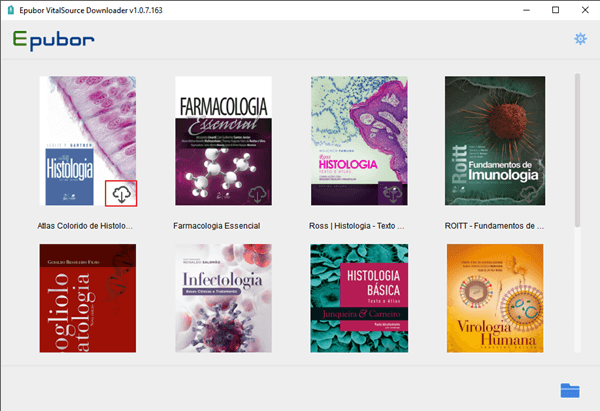 After downloading your VitalSource eTextbooks with Epubor VitalSource Downloader, you’ll get DRM free Epub or PDF files (depends on the book type delivered by VitalSource). If you want to convert Epub to PDF, you can use Epubor Ultimate to convert DRM free books' format for free. Epubor is the most professional software producer which provides the most incredible eBook, Audible Book and VitalSource book decryption and conversion tools. No other software provides so many comprehensive software like Epubor do. And the ultimate purpose of Epubor.com is to help you gain the full control of your purchased books and boost your reading and listening experience greatly.